The Wild Oats Project is a memoir written by Robin Rinaldi. The book provides a look into her life with a focus on the year she decided to explore her sexuality and an open marriage. I'm expecting a real life account of 50 Shades of Grey... I guess I'll have to read on to find out. 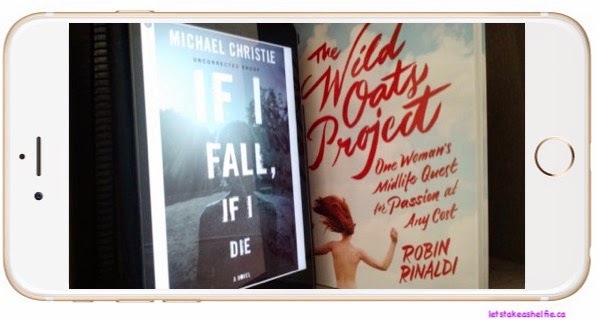 The second book I'll be reading is If I Fall, If I Die by Michael Christie. I requested it from NetGalley as part of my #ReadingBingo quest. The book was a CBC CanLit Fiction recommendation for 2015. The book is about a young boy, Will, who lives with his agoraphobic mother. Curiosity leads him to the Outside wearing a helmet and a wetsuit.